Was Bill Belichick not ready for Jacoby Brissett to start? Coming off a 16-0 loss to the Buffalo Bills, there's a good deal for the Patriots to talk about. It was their first shutout loss in Gillette Stadium, and the offense was largely neutralized by a savvy Rex Ryan gameplan. But, was there a reason beyond just a bad day? 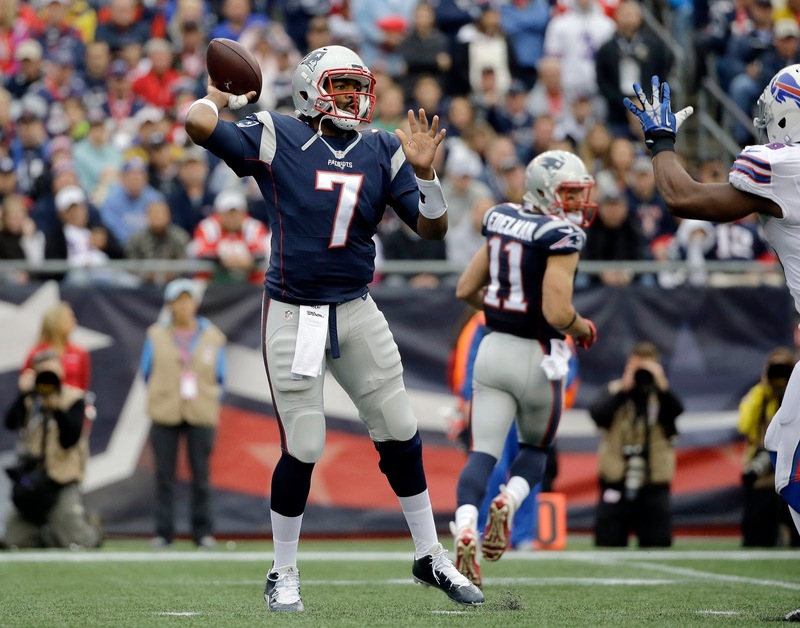 Was Bill Belichick not ready for Jacoby Brissett to start? Think about it for a second. Darth Hoodie is notorious for his meticulous preparation, and Brissett started last week against the Texans--so there should have been a gameplan in place if he needed to play, right? Here's the thing: Every week without Brady, Belichick has changed the gameplan. To give opponents time to study what you're going to run, especially when you're facing a Rex Ryan defense, is suicide. So, Belichick just comes out with something new and unpredictable every week, and his opponents usually can't stop it. But that wasn't the case against Buffalo, which could mean something else was going on. After spraining the AC joint in his throwing arm in Week 2, Jimmy Garoppolo had two weeks of rest before Sunday's Week 4 game. Leaks out of Foxboro indicated the Patriots were pressuring him to play, because Tom Brady had played through the same injury before--if he could do it, why couldn't Jimmy G? Whatever the situation, it seems probable that Belichick prepared his gameplan with the assumption that Garoppolo was going to start. In fact, on Friday information came out that indicated Garoppolo would be able to start against the Bills. When he couldn't go in warmups, it forced Belichick to play a rookie without a gameplan designed to suit his needs. While Brissett played spectacularly against the Texans, the better analogy here is to his cleanup work in the second half against the Dolphins. Without an effective gameplan for the rookie, the Patriots offense couldn't get going. They scored a whopping 7 points (after racking up 24 in under one half of the game), and barely clutched out a 31-24 win after going into the locker room with a 21-point lead. Not an effective performance, to say the least. And while Brissett worked well against the Texans, the Bills have an entirely different defense, and had already seen what the rookie could do in that wishbone-esque system. Reusing it wouldn't have worked--and the only other alternative was throwing a rookie into the game without a plan for him. The Pats loss was an ugly one, yes. There's no getting around that. But, if Belichick just wasn't prepared for Brissett to start, it changes the picture. New England had its share of defensive struggles, but without a sound gameplan on both sides of the ball, any team would lose. While the loss stings either way, it's far better to be a faulty plan than a concealed injury or other worse news. At the end of the day, the Pats are on to Cleveland, and hopefully they can rebound on the road there. With Tom Brady back and a plan in place for him, it should be a lot easier this time around.